Today was the 14th 15th!! 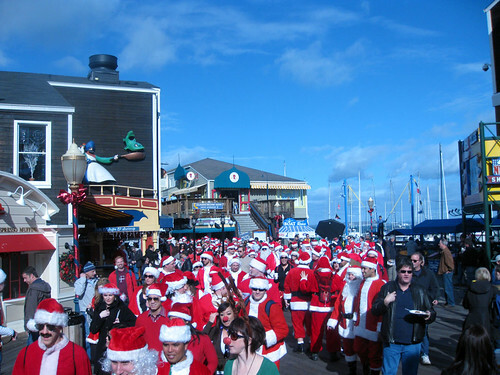 anniversary of Santacon, originally sponsored by the San Francisco Cacophony Society, and at least 1000 Santas took over 3 areas of town today: The “Ho on Haight” covered Haight Street, “Mastrobation” focused on Mission and Castro, and finally the Klassik Kringle track which covers Fishermans Wharf and North Beach. I figured I would go where there would be maximum tourist shock factor and off to the Wharf I sprang this morning. 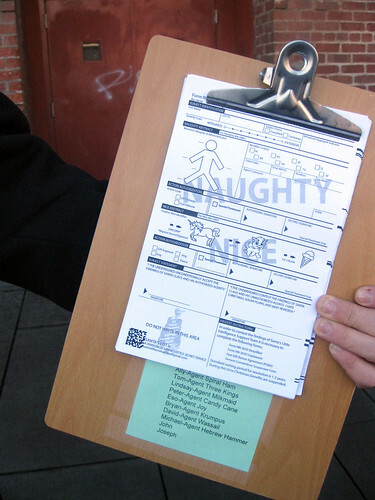 What can be said about Santacon? There’s lots & lots of Santas. 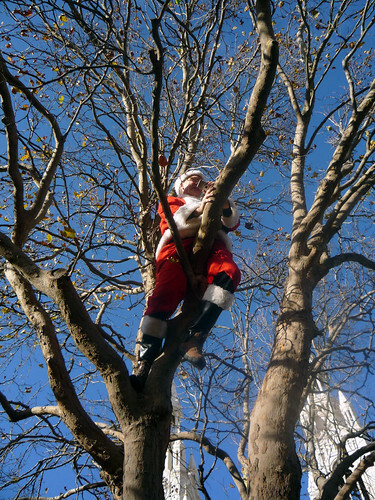 Santa’s Agent force was definitely instrumental in keeping the Santa swarm from spilling into traffic, they assisted at crosswalks, and helped keep Santacon revelers from straggling off course. Santas agents surround Mr. Chu — getting a briefing on the galaxies. 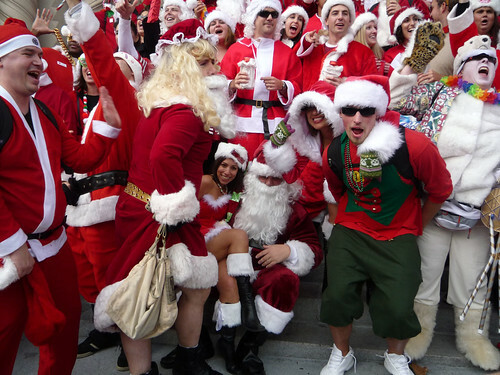 Santacon also has musical talent flowing abundantly through out it we found. Santa Dodgeball .. some eggnog will take away the sting Santa. Santa got ice!! and gold apparently. “not quite sure what to make of it are yah?” — yeh us either.